Burnley is currently in the bottom half of the table as they are 13th on the table with three points from three matches, below on goal difference from West Ham United and above from Swansea City. On the other hand, we have H City who is fifth on the table with six points from three games, one point below Everton and one point above Middlesbrough. 10th September 2016 at 19:30 (IST). Burnley has won one game and lost the other two and have three points on the table, they have scored two goals and conceded four goals in total. They need to more consistent in the Premier League if they want to survive in this league. They played against Swansea City on the opening matchday and lost by 0-1 at home, then on the second match day they played against Liverpool and won their first game in the league by 2-0. They played against Chelsea on the third match day and lost the match by 3-0 away from home. Chelsea is in great form this season, and they demolished Burnley at Stamford Bridge. Hazard opened the scoring in the ninth minute of the game as scored into the bottom corner of the goal. After that in the 41st minute of the match, Chelsea made it 2-0 as Willian scored and Costa provided the assist. And then finally in the 89th minute of the game Victor Moses made it 3-0 and it was game over for Burnley. Hull have started very well in the Premier League as they have won two and lost one game, scoring four goals and conceded two. They won against Leicester City by 2-1 and against Swansea City by 0-2. Then they played against Manchester United on the third matchday and lost the game by 0-1 at home. The game was level at the end of regular time, and then Marcus Rashford scored in the 93rd minute from a beautiful ball provided by captain Wayne Rooney. Heaton, Ward, Keane, Lowton, Mee, Defour, Boyd, Arfield, Marney, Gray, Vokes. Jakupovic, Elmohammady, Robertson, Davies, Livermore, Huddlestone, Meyler, Clucas, Diomande, Hernandez, Snodgrass. 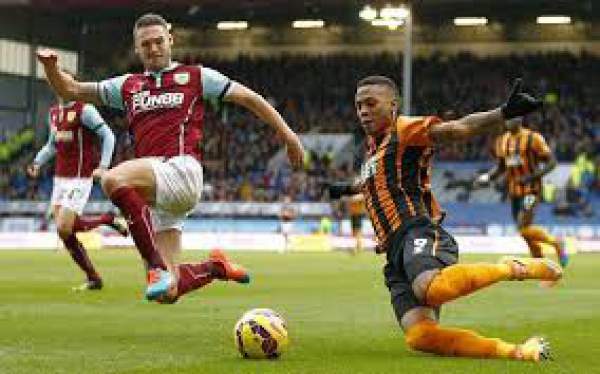 Hull City are in good form despite their loss and have better odds of winning against Burnley. Come back for the match result, full video highlights, scorecard, and much more. Don’t forget to share it on social media sites like Facebook, Twitter, Google Plus, etc. to let others also know. Stay tuned to The Reporter Times for latest football news and other sports’ updates.